Are you looking for Manual Testing Jobs in Hyderabad, Ahmedabad, Noida, Gurgaon, Bangalore, and Mohali?? and Java Jobs in Chennai, Ahmedabad, and Bangalore?? 0 to 3 Years of Manual Testing experience. Should have excellent Communication Skills and candidate interfacing skills. The Digital Product Tester will support the Production group in ensuring that all software has been fully and comprehensively reviewed and is complying with the design documents and complies with the pre-defined quality criteria. Minimum 2 years experience in manual testing. Excellent knowledge of Jira or similar issue tracking systems. Very good knowledge of Mac, PC, Android-based and iOS-based devices. Very good knowledge of Windows 7, Windows 8, Windows 8.1, Windows 10, Mac OS 10.7 and up, iOS 7 and up, Android OS 4.2.2 and up. Producing Test Strategies, Defect Tracking, Requirements Capture and Analysis, Test Plan, Test Cases, TCDs, Test Matrix, and Test Summary Reports to agreed deadlines. Experience in Mobile and Web application testing. Experience of working with any automation frameworks such as Selenium, J-Meter, testNG, protractor etc. Experience with software testing methods, such as functional testing, stress testing, Performance testing, Smoke testing, Exploratory Testing, Integration Testing, End to End Testing, UAT Testing, Sanity testing, Regression testing, Adhoc testing, Usability Testing, GUI Testing, Black box Testing, and cross-browser testing for responsive websites. Experience in SQL and scripting (should be able to write queries for Backend Testing). Should have Strong testing aptitude with the clear understanding of testing concepts (testing life cycle/test plan/test strategy/defect life cycle). We have an urgent opening for Manual Testing in Aristocrat Technologies in Gurgaon. As a lead creates & executes mobile automation test strategy for mobile apps across Android & iOS platforms. Train and guide the testing team to up-skill & execute the Mobile automation test strategy. Work with development leads, development managers to come up and execute the test strategy in line with the overall test strategy. Hands-on mobile automation expert who can deliver, lead, train and guide the existing team on automation tools, frameworks front. 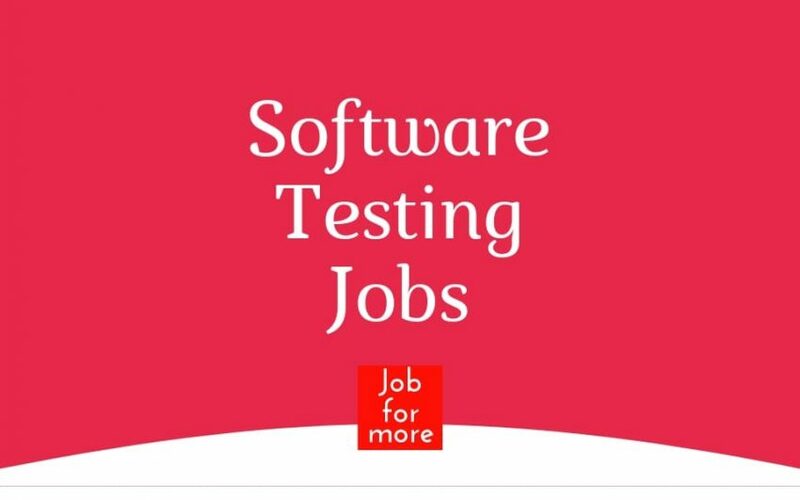 The candidate should apply basic to intermediate knowledge of software architecture to perform software test development tasks associated with developing, executing & debugging issues pertaining to OIT components. Basic Knowledge of Application Servers, viz Weblogic or any equivalent product & working of deployment of applications in J2EE containers. Hands on experience with Test Development using the tools such as TestNG, JUnit, shell, python & Perl scripts. Works independently under limited supervision and applies knowledge of subject matter in Applications Development. Possess sufficient knowledge and skills to effectively deal with issues, challenges within the field of specialization to develop simple applications solutions. Software experience in IT Industry involving Testing and Quality Assurance. Extensive experience in Manual Testing and Automation Testing. In-depth experience in preparing Test Cases. Involved in various types of testing. Citicorp Services India Pvt Ltd.
6 – 12 years predominantly in Java and Spring. Should have proficiency in Multi-threading, Caching, Data Structures, and Design Patterns. Should have some background in Oracle (10G/11G) Basic SQL programming. Performance tuning skills. Experience in multi-threading, messaging, caching. Analyze, identify, prioritize and assist in the resolution of issues in production environments. Analyze, categorize and assist in development by application enhancement requests. Provide business users with application support. 3 – 6 years of IT experience.